Just a warning, this might seem like a silly post to some of you, but we need silliness to enjoy life and if we don’t recognize the silliness, how are we going to recognize when something truly amazing is in front of us? Technology is important. Especially nowadays. What would we do without technology? You – for one – wouldn’t be reading this blog, and that – for two – would be a shame. But you are reading it, or having it read to you, and with this, technology makes it possible for me to invite you into my world. My small little world. I invite you, because you weren’t there when it all happened. It would have been odd, if you would have been there but since you weren’t you have to rely on my word for it being true. I don’t think, that without technology, there would even be any evidence for what happened, but there is evidence and, yet again – it proofs we need technology, I still remember every moment of it. When A and I first met it was an instant thrill. We were instantly on ease and we didn’t need to exchange any words. We were dancing and from that moment on, every dance with another man felt unnatural. It was just not supposed to be, but when I was in his arm, it was supposed to be and ever since that moment, we have been together. That night we talked and talked and talked and I don’t remember a single moment ever since, that we didn’t talk. Talking is the most important part in any kind of relationship, whether it is the beginning of a relationship or the end. Talking is always important. And without technology A and I wouldn’t have been able to talk for hours and hours on the phone. What a funny little invention. A telephone. It allows you to connect to a person, without seeing them, without being geographically, physically or in any other sense close to that person. And since geography didn’t allow us to be together, we had to try our best to make it work all the while holding a telephone in our hands. And starring at my telephone I did most of the days, when we weren’t together. My little phone. How I longed for it to beep, so I could pick up and talk to him. And now still, whenever I see his name on the display, my heart skips a beat. When A asked me for my phone number the night we met, he ran – RAN – to get his phone, it was in a backpack across the room. 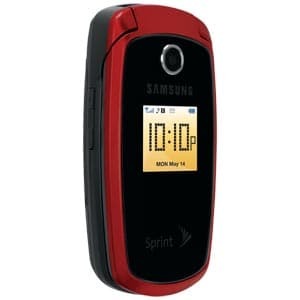 He came back and handed me his phone, to type in my number and as I reached for it, I realized that we both had the same crappy sprint-phone. A red little fold-able phone, colored display but that was already the fanciest part about it. That was slightly before the whole smart-phone-hype started. I know it doesn’t mean a thing, a billion people probably had the same phone as well, but somehow it connected us. It was kind of odd, returning to Austria, knowing that now we wouldn’t have the same phones anymore. We both upgraded several times ever since already, since there is always something better, something newer but now finally we are back to being phone-buddies (although his phone is blue and mine is red…) and I am – imagine that – incredibly happy about that.